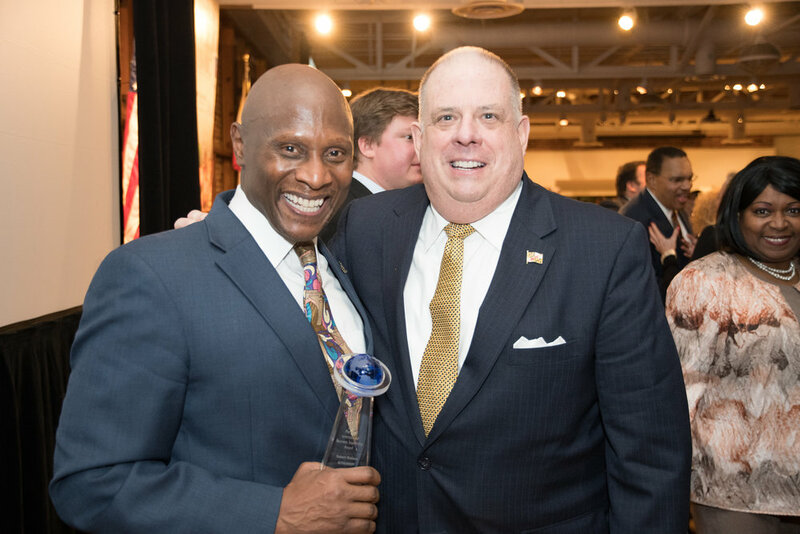 On March 8th 2017, Robert L. Wallace received the 2017 Maryland International Business Leadership award from the World Trade Center Institute. The event was held at the American Visionary Art Museum in Baltimore Maryland and was attended by hundreds of guests and anchor institutions throughout the sate. This renowned award honors leaders who have taken their companies as well as the State of Maryland to new global heights. Wallace accepted the award on behalf of the work performed by BITHGROUP Technologies Inc. and Bithenergy Inc. overseas, in Asia and Africa. International business accounts for over 15% of the current business portfolio and the companies expect to double the revenue over the next two years with emerging opportunities in the Caribbean and various African nations. A portion of BITH’s profits go to humanitarian efforts to support the overseas construction of churches, clinics, schools, and orphanages. On a local level, BITH proudly supports Baltimore City Schools in their efforts to be more environmentally responsible and seek new technologies in energy and sustainability. Newer PostRobert L. Wallace, President and CEO of BITHGROUP Technologies served as the moderator for the 2017 PRT CEO Briefing.